Scratch your Mountain Biking itch! 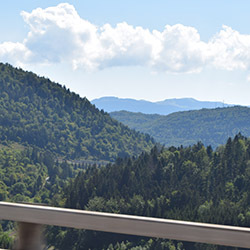 Our Short break package is designed to maximise riding time, but in a subtly condesnsed 3-day holiday. The package includes two days in Pila and a complimentary day in La Thuile (with transport to and from included) - plenty to scratch the adrenaline itch! Our short breaks are available on either a 3 or 4 night basis, depending on your preference. 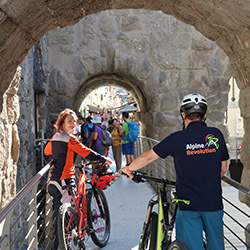 Explore The Aosta Valley's 2 bike parks with our short break packages, up to four days, letting you get the adrenaline fill you need! 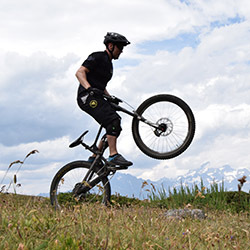 Make your short break as action packed as you like, venture up to the black trails or ride along admiring the breath taking views that the Aosta Valley has to offer on the cross country trails. 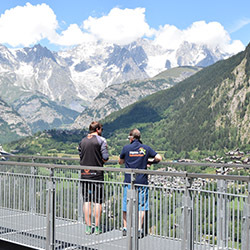 Venture to both of the resorts the Aosta Valley has to offer, we'll even take you up to La Thuile for the day free of charge! Riding in Pila or La Thuile, it's your choice! 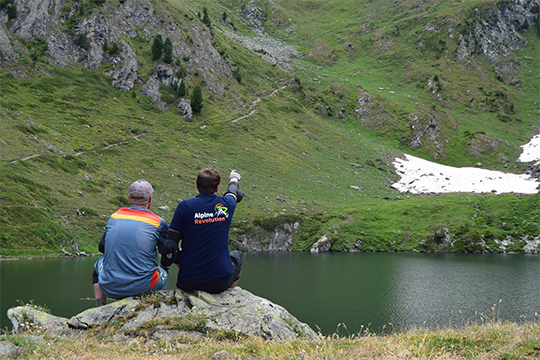 We suggest going to Pila first, then La Thuile so you get the experience of both! The choice of riding La Thuile or Pila. 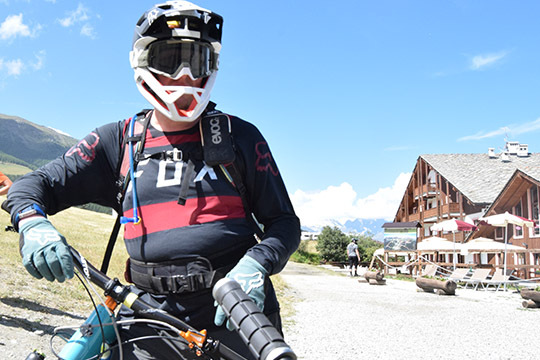 Riding in Pila, if you're staying three nights then you will depart on this day. Our short breaks are all about you! You tell us when you want to go, where you want to stay and we will do the rest! "Great few days in the Aosta Valley with Alpine Revolution. Welcoming, friendly and extremely hospitable from the moment we arrived at Turin airport all the way until we flew back. Biking in Pila and La Thuile is up there with the best of them. "Italy’s Aosta Valley needs to be on your hit-list. From Pila’s plumes of dust and flowing singletrack to steep and deep enduro madness at La Thuile, there’s something for everyone, and it’s all in the shadow of the stunning Mont Blanc range. Great food, great coffee and good times guaranteed, it’s truly La Dolce Vita.